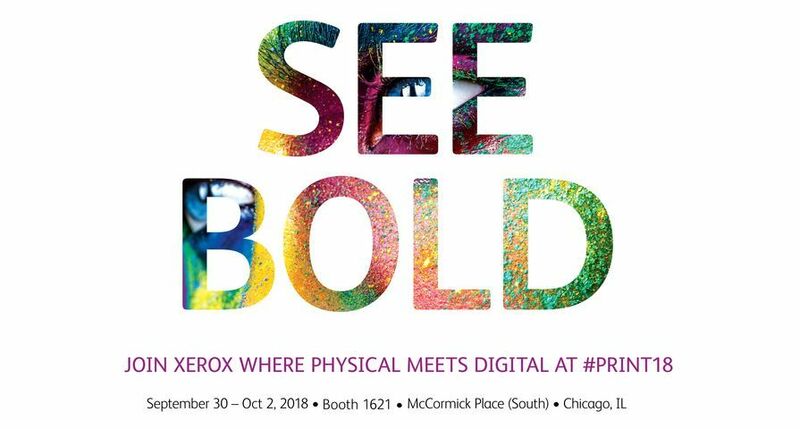 UXBRIDGE, U.K., Oct. 20, 2016 – More than 80 percent of small/mid-size businesses (SMBs) want to cut paper out of the way they invoice, report financials, manage legal and human resource forms and handle other time consuming processes, according to a Xerox survey. 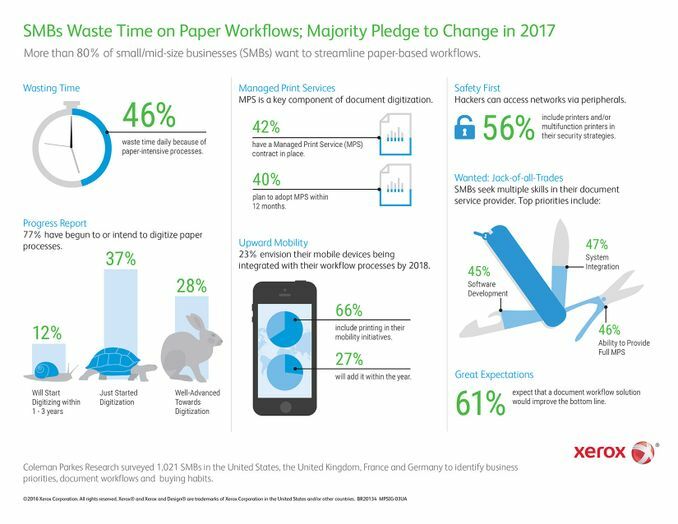 Nearly half (46 percent) of respondents confirmed that a significant amount of time is wasted on paper-intensive processes and six out of 10 view this as having a major impact on their bottom line. SMBs in Germany (51 percent) and the United States (50 percent) cited they spend the most time, followed by the United Kingdom (43 percent) and France (37 percent). 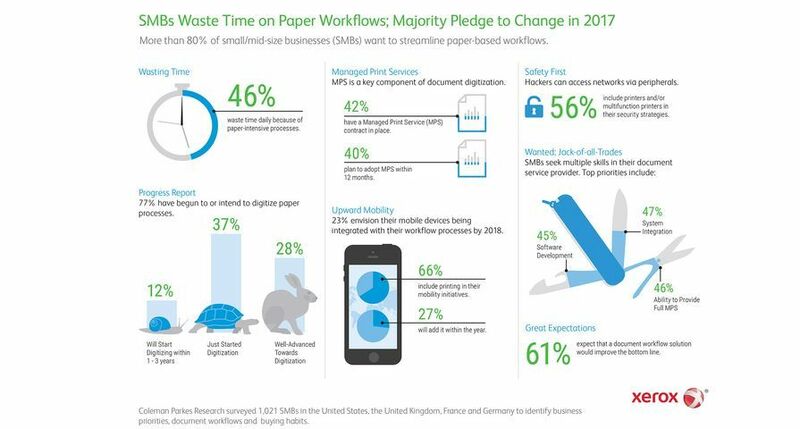 As SMBs prepare to digitise their paper processes, most will turn to experts for recommendations since only one in five respondents are aware of existing paper-free solutions in the market. The study shows that 47 percent will go to an office equipment dealer, one in four will look to their IT reseller and 37 percent will turn to the product manufacturer. Overall, 28 percent reported they are well advanced with respect to implementing their plans to digitise paper processes, with France (33 percent) being furthest along. 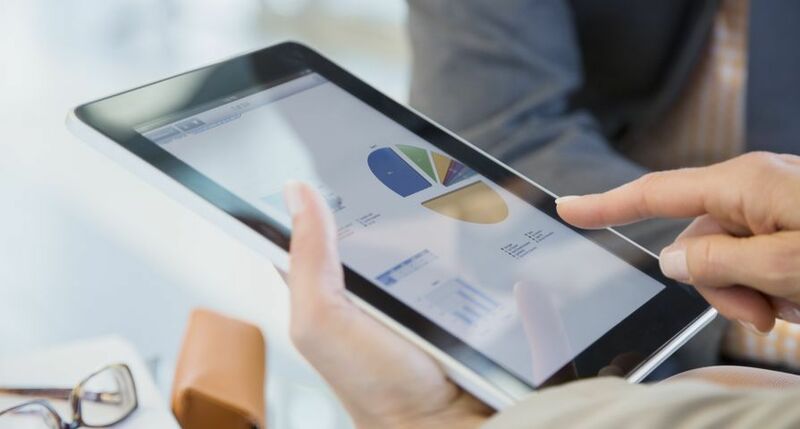 U.S. SMBs are lagging in their plans to digitise processes with 41 percent citing they have just started, compared to the average (37 percent). Twelve percent of all SMBs are one to three years away from implementation. Managed Print Services (MPS): Of the SMBs surveyed, 42 percent have an MPS contract, while 40 percent said they plan to put an MPS contract in place within the next year. Sixty-six percent spend more than £813 each month for printing activities, a significant cost of doing business. 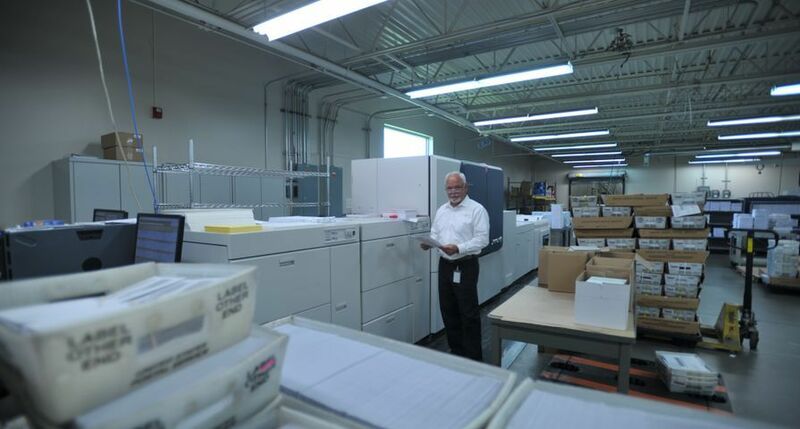 Companies with MPS contracts cited reduced costs, decreased paper consumption and improved tracking of print costs as top benefits. Mobility: By the end of 2017, 23 percent of SMBs believe mobile devices will be completely integrated with their workflow processes. Today, 66 percent of SMBs include mobile printing in their mobility initiatives, while 27 percent plan to within the next year. The main drivers include increasing productivity of mobile workers, meeting customers’ needs for remote information, and improved and faster customer service. 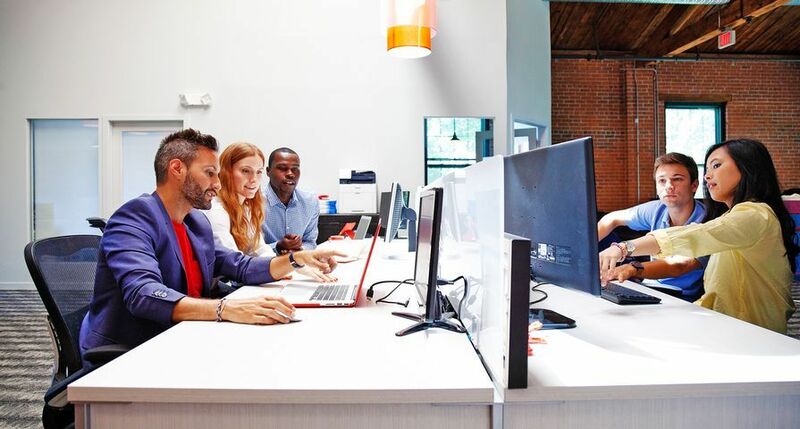 Security: It’s becoming increasingly important for SMBs to secure business-critical information across all technology with the rapid growth of data. 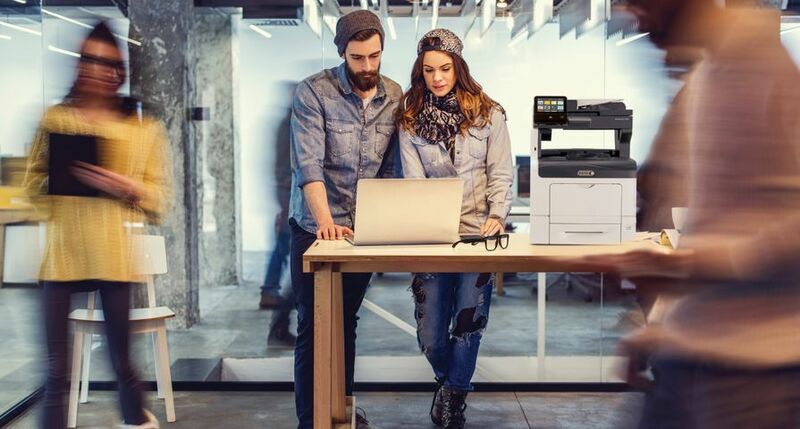 As a result, 56 percent of SMBs currently include printers and/or multifunction printers in their security strategies. 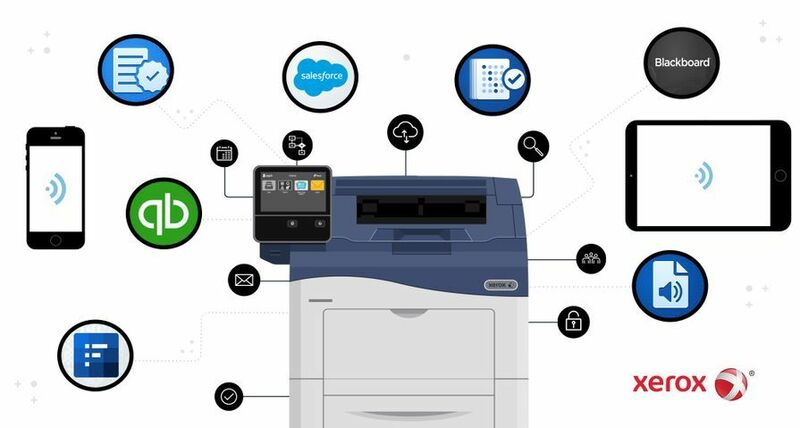 SMBs in the United States and Western Europe spend £32.5 billion annually on office equipment and related print services1. 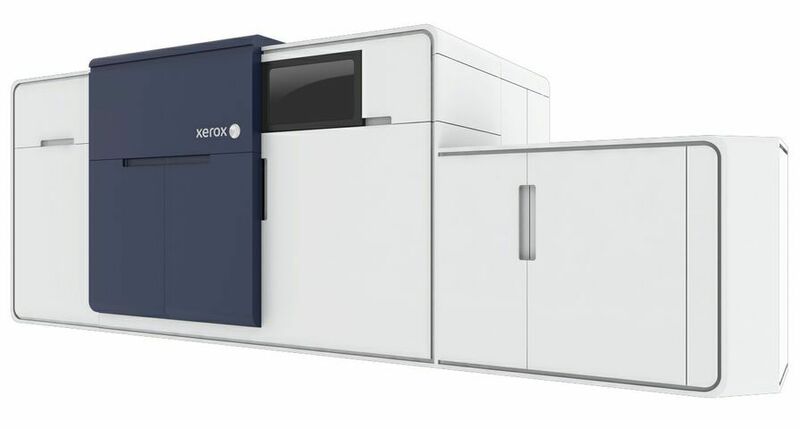 Helping these businesses improve their processes has been a major focus for Xerox. 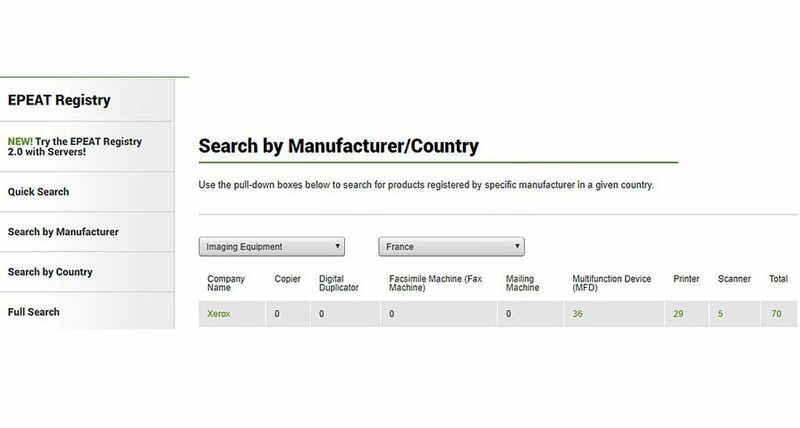 The company has introduced a variety of solutions to help SMBs automate processes, improve mobility and reduce printing costs through MPS. 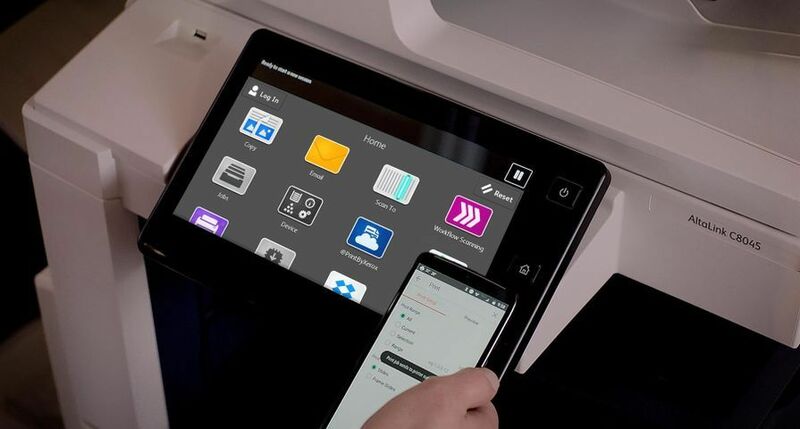 Xerox’s ConnectKey® technology automates manual paper-dependent processes and makes it easier for mobile users to collaborate and work more effectively, even outside of the office. It also leverages partnerships with Cisco and McAfee for a multi-layered approach to securing printers. 1,021 SMBs with annual revenue ranging from less than £5 million to more than £249 million took part in a detailed online survey completed in September 2016. 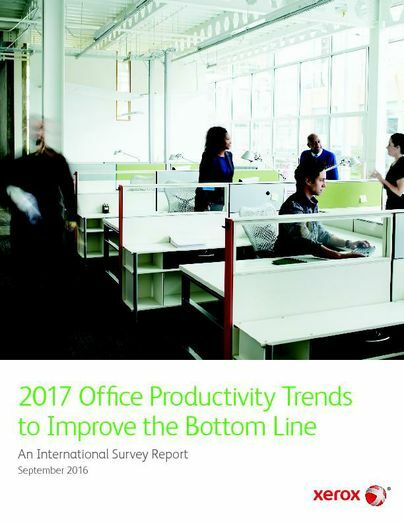 The “2017 Office Productivity Trends to Improve the Bottom Line” survey was completed by independent third-party Coleman Parkes Research in the United Kingdom and commissioned by Xerox Corporation. Respondents were senior business managers in operations, finance and IT, along with small business owners. The SMBs taking part had between 50 and 1,000 employees, and were based in the United States, United Kingdom, France and Germany. SMBs pledge to change in 2017. 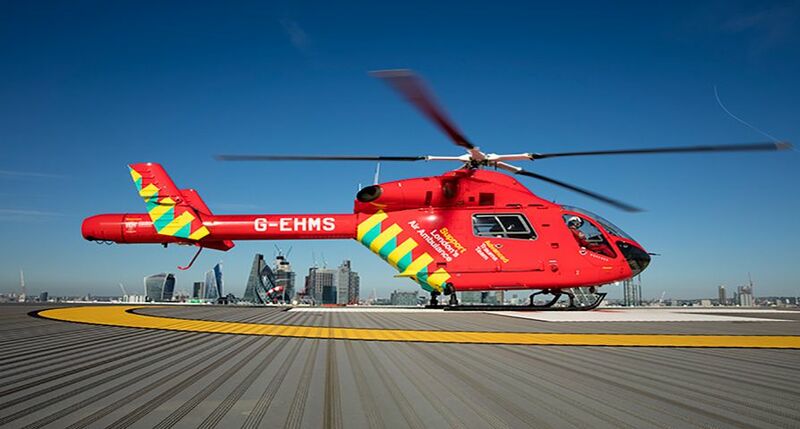 See what their key priorities are and what is driving their business decisions.